McLaren Automotive is soon going to celebrate its 50th anniversary. On the auspicious event of its golden jubilee, McLaren planned a special treat for its fans as well. It has organized a competition, which will be publicized by Turn 10 studios. The person who will turn out as the winner, will be given a chance to drive in the passenger seat of its forth coming enigmatic car McLaren P1. This one in a million chance of driving P1 car on its debut, is been wildly seeked by the McLaren F1 fans. McLaren is an automotive manufacturer, that specializes in using F1 technology. It entered the market with the idea to build its own car, that is perfect in the long run F1 league. Many cars and hybrids have been created by this company, that have been idealistic in the F1 racing championships. McLaren also is in association with the McLaren racing team which is the 2nd oldest and a very successful F1 team. After mastering the F1 technology and launching some of the very successful F1 cars, McLaren is now launching its latest innovation. This time its not an F1 but a McLaren P1. This car is different from any other F1 car designed by McLaren group so far. The McLaren P1 is somewhat similar in design as compared to the MP4-12C but this one looks a lot more aggressive than the MP4-12C. It offers a rear wheel drive and has a mid engine. It uses a carbon monocoque as well as roof structured safety. It has a highly designed 3.2 litre twin turbo engine that boosts it with a power of 727 bhp. 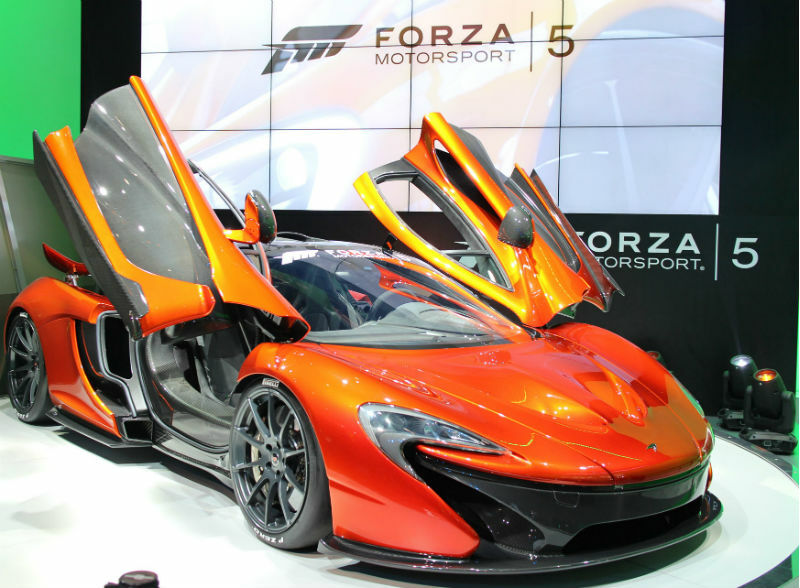 The company has merged with Forza Motorsport 5 that is the new game being launched by Microsoft studios. The game has used McLaren P1 on its cover. The sales and marketing director, Greg Levine, states that it is a proud moment for both McLaren as well as Microsoft, who strive to get the best and newest technology to the enthusiasts. McLaren will manufacture only 375 McLaren P1 cars to keep it as rare as possible. The production will commence in July 2013. McLaren is preparing to deliver first P1 in August and almost 50 cars by the end of this year.